The Playmobil Dog Walker features a cheerful Dog Walker taking four excited dogs for a walk. Includes: a dog walker, Chihuahua, Mastiff puppy, Labrador puppy, Border Collie and leads. 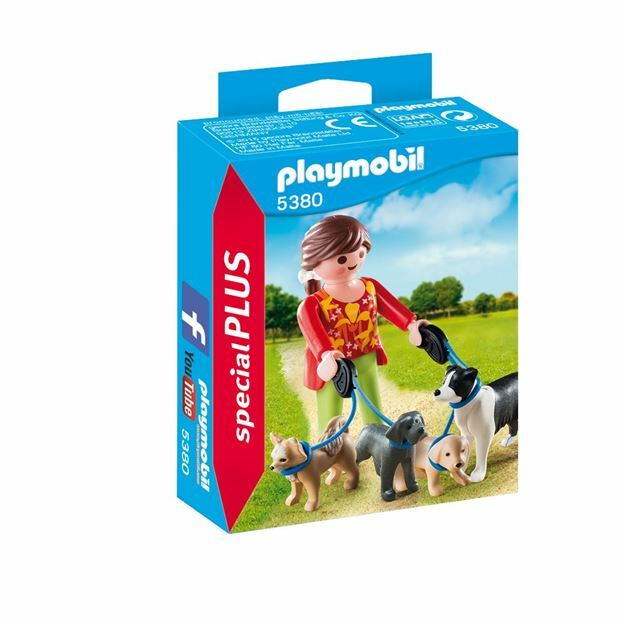 Part of the Special Plus Range. Age 4+ years. Distributed in New Zealand by Holdson.